Light and bright also very spacious with natural light.SEwingroom/bedroom 2 is14x12 bedroom filled with boxes is 12x10 sewingroom wall unit may stay.Immaculate well cared for home with a great open floor plan.Newer and upgraded appliances. Shed is 14x7. 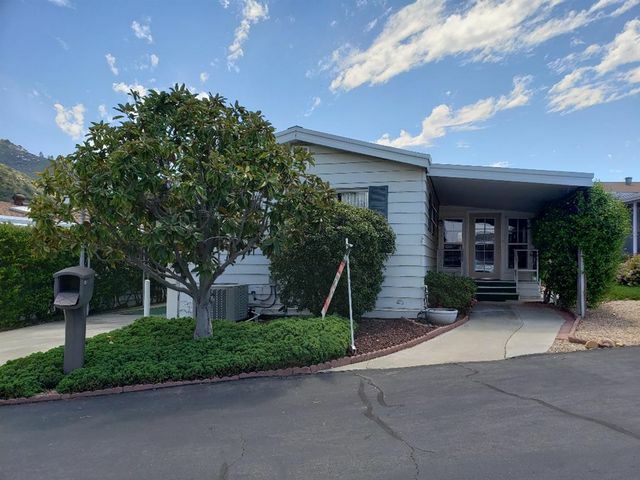 This senior park is very popular and has a 5 star rating.Buyer must be approved by manager ages are 55 and 40 .ok one must be 55 or older.Exterior has been freshly painted. 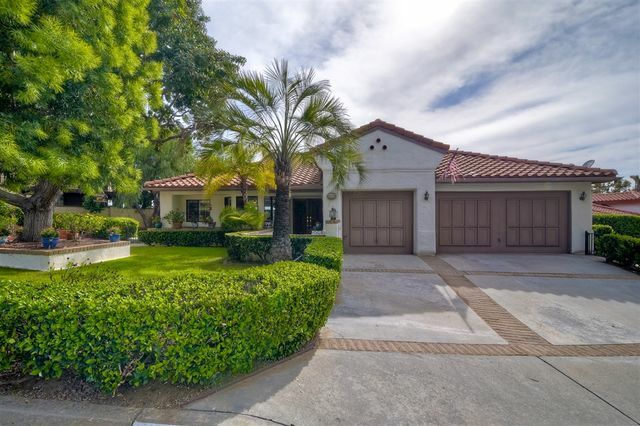 Beautifully updated Hacienda style home with panoramic mountain views sitting on a half-acre of land. Drink in breathtaking panoramic views of the grounds on the large veranda all year long. As you enter you will gaze upon gorgeous wood flooring, arched doorways, shiplap ceilings and scrolled wrought iron accents. The living room has dual French doors with side light panels that allow the sunlight to bathe the space in natural light and lets the cool breezes flow through all year long. Pride of ownership! 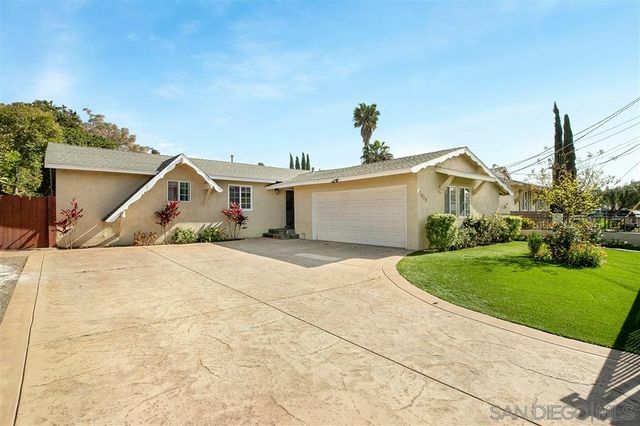 Beautifully maintained single story home in the heart of Escondido boasting fresh neutral paint and trim, updated bathrooms, a cozy fireplace, and durable hardwood flooring throughout. Newer dual pane windows bask the home in an abundance of natural light. A beautifully appointed kitchen featuring crisp white cabinetry, sleek granite countertops, mosaic tile backsplash, stainless steel appliances, and breakfast bar seating that opens to the dining room. Sprawling 1 level set back on almost 1/2 acre w/outdoor fireplace & courtyard to enjoy peaceful evenings & beautiful sunsets views! Open concept living room & dining rooms, stunning flooring just installed flows into kitchen & spacious family room w/fireplace. Cooking will be a delight in gourmet kitchen w/island & walk in pantry. 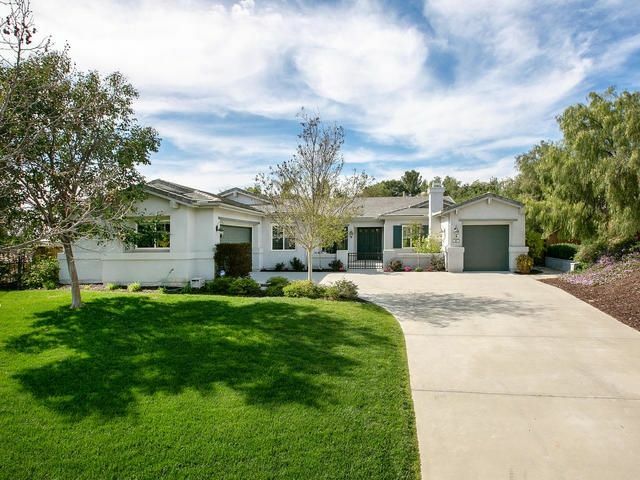 Large master suite has french doors that lead to spacious backyard large enough for a pool! 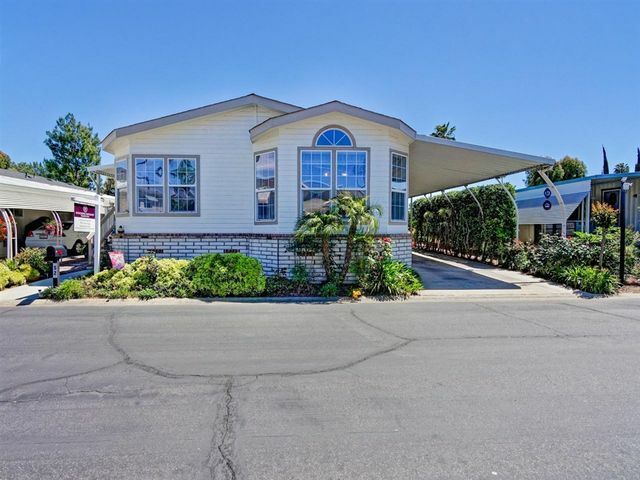 Walk the peaceful, upscale neighborhood with mountains beyond! Close to shopping! 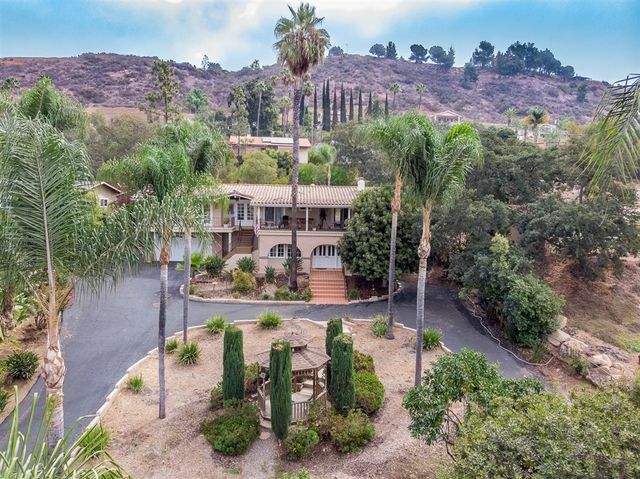 Sits high on a hill with panoramic views of mountains, Lake Hodges, and valley with gorgeous Sunsets. 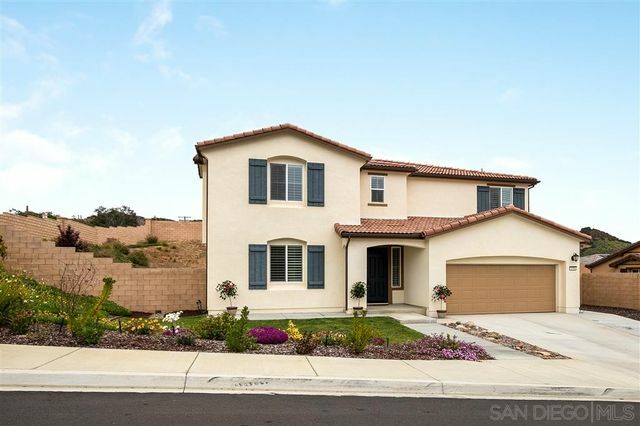 Popular 3 Bd/2.5 ba model. 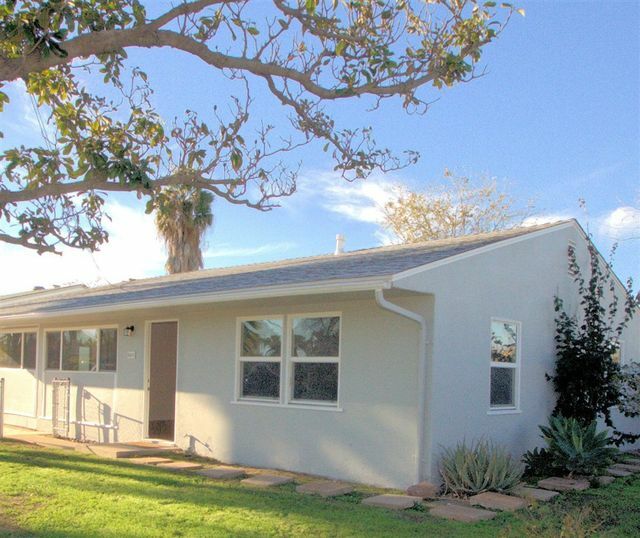 Lovingly maintained with outstanding landscaping front and back. Newer roof, new hot water heater, custom solid hardwood floors, cedar lined Master closet. Forever views from every room in this home. Located in a Cul-de-sac. A perfect place to call home. 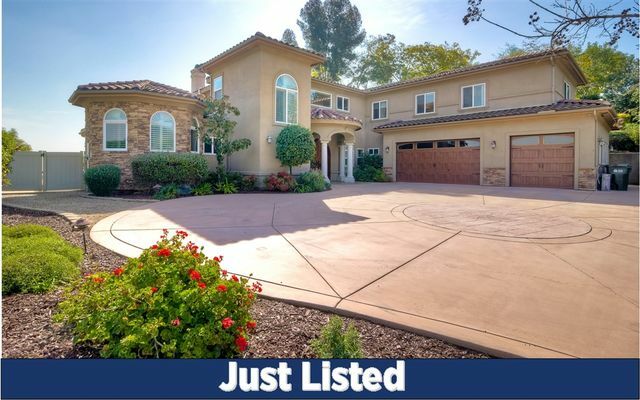 Close to all shopping, stores, freeway, schools, and Vinyard Golf Course. Walking and Biking Trails. This is a must see!